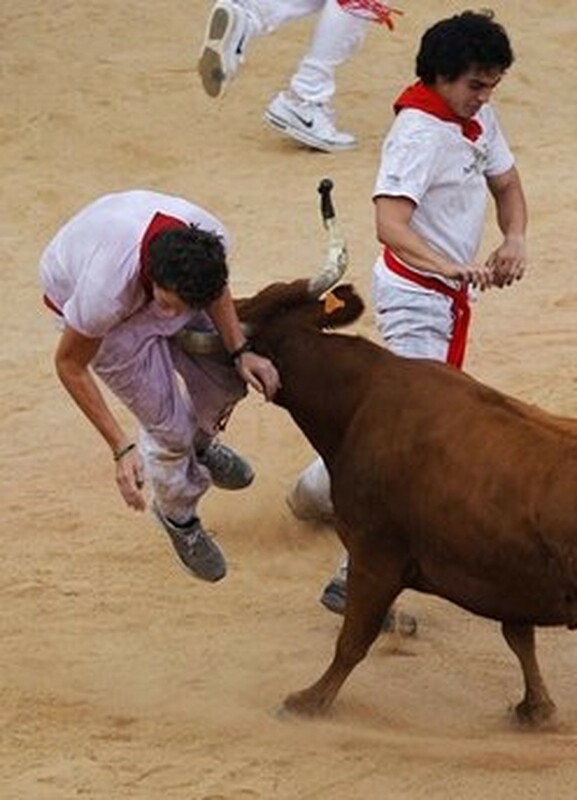 Officials say three revelers have been injured but there have been no gorings at the crowded weekend fourth running of the bulls at Spain's San Fermin festival. Red Cross spokesman Jose Aldaba says several people were treated by mobile units along the 930-yard (850-meter) course from a holding pen to Pamplona's central bull ring. Navarra Hospital doctor Fernando Boneta says three men had been transported to hospital, one with head injuries, another with a face wound and one with a back injury. Pamplona swells each year at the weekend with people arriving from other parts of Spain to enjoy the festival atmosphere. Saturday's run was quite fast, lasting two minutes, 53 seconds and danger arose when three of the six bulls became separated at the back of the pack.